The Barnes & Noble release event for THE MARK OF THE DRAGONFLY was wonderful. Thanks so much to all my friends and family, students, teachers and librarians for coming out to help celebrate and especially for selling out the books! That did not deter people, as I signed plenty of bookmarks and exactly one sweet potato. Not even kidding. Here’s a delicate topic to put up on your writing groups blog– How to deal with critiques. Anyway, now I’m looking over their comments and getting ready for the next big revision pass. Some of their suggestions are easy to deal with. Yes, I should use apostrophes correctly. And not repeat the same descriptor over and over. And yeah, that loving description of a cave that the characters are walking through, where nothing actually happens, that can probably go away. But there are tougher things to deal with, mostly stuff about character building and motivation, and a bit about plot and pacing, that will require some rumination. Rumination is a very good word for this process. I tend to be resistant about these kind of comments at first, mostly because I’m lazy. I force myself to chew their advice up and swallow it down though, and if it doesn’t digest easily, its time to bring it back up for more chewing. Generally, after a few rounds of this, I end up with a solution that sits good in my gut. Though occasionally I spit something out. It’s an important part of the whole revision process that just happens to involve a lot of sitting in a chair, making weird faces, and occasionally groaning. James Clear has a great post for anyone working on a long-term goal. If you look at the people who are consistently achieving their goals, you start to realize that it’s not the events or the results that make them different. It’s their commitment to the process. They fall in love with the daily practice, not the individual event. 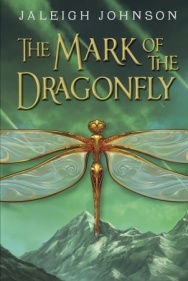 This week marks the official release of THE MARK OF THE DRAGONFLY! Watch my website http://www.jaleighjohnson.com all this week and continuing on into April as I’ll be adding more guest blog posts, interviews and book tour information. It’s going to be a busy spring, but I’m excited! Here we go! So I’ve been belting that word out occasionally, like I’m singing ‘Traditions’ from Fiddler on the Roof. Well, to annoy the children, yes, but also because I’m hip deep in revisionland right now. There’s the draft I just finished on the Paizo project, and an older project which I had a friend do a detailed critique on. Both of those get to be taken apart and put back together over the next few weeks. Luckily, I like revision. It just feels less grueling then the draft. It’s like building a house– there’s all this work in prepping the site, putting in a foundation, framing it, roofing it, doing all the systems work, etc., etc. All that’s a horrible long slog, and when it’s done it still doesn’t look much like a house. That’s the first draft. When the painters and decorators and landscapers come in and make that structure into something that people actually want to live in, that’s revision. For me, that feels easier. That basic structure is already there, I’m just messing around with paint and trim until it works. There is one part of the drafting process that I do like better. Word count. It’s a simple, clear way to make sure I’m on the clock and doing my job. When I’m revising, it’s not nearly so easy to tell. How necessary was it to spend twenty minutes moving that one comma back and forth? Did I catch all my typos? Am I sure? No, of course not. But that’s a little thing– I still think revising is easier. Easier, but very, very necessary. The NCAA basketball tournament is my Christmas. Okay, maybe not exactly. It’s like Christmas and Thanksgiving rolled into one! I fill out brackets and watch the games and root for the underdogs and talk to anyone who will listen about Creighton or SLU or the Big Ten. It probably annoys every one around me but I don’t care. I get hooked every year. This year I took a moment between games to really think about why I’m so obsessed with this tournament, and came up with drama, insurmountable odds, and stakes. All of these are also components of great fiction (funny how that works out, huh?) Every single player on the court has skin in the game. They all have something at stake: they’re a senior and this is the last time they’ll play college ball; they’re from a “Cinderella” school and will be unlikely to get another bid; they’re playing for their dying father; they’re underdogs and have a legitimate shot at knocking a giant out of the tournament; they hope to have a shot at the NBA; a coach’s job is on the line; a winning team stands to gain better recruits for their program. Sweat and blood and tears are spilled over the course of three weeks and every single drop symbolizes something for someone. It’s fascinating to watch. Fiction that incorporates meaningful, emotional stakes is better than fiction that doesn’t. Having recently gotten one novel off my plate, I’m down to two novels, a long list of short stories to revise (one at a time! ), and queries. I’m making good progress on the books, though they’d each be going faster if I worked on only that book. Which is the eventual plan. I complain that I’m slow, but based on sheer number of hours I could finish a book in an amount of time that I’d be happy with, if I didn’t stop in between drafts to write a different book. It’s nice in theory. I want to set a book aside to rest before tackling its next draft, so I’ll work on a draft of another book. Perhaps I’d be better off using that resting time for a short story instead.